*** On your second attempt, you'll need less chocolate, but best to use extra the first time, until you get the hang of it. 1. You will need to temper your chocolate. Don't skip this (your feathers won't set!) and don't be afraid (it's not hard!). 2. To temper, gently melt 150g of Callebaut white chocolate until it reads 45-50C on a probe thermometer. 3. Finely chop 50g of chocolate and add to your melted chocolate to cool it down. You want your chocolate to reach 26-27C. 5. Pop your chocolate into a piping bag, Ziplock bag or strong sandwich bag and snip a tiny hole in the corner. 6. Lay a sheet of baking parchment down on your worktop and pipe lines about 1 cm wide by 8-10 cm long and .5 cm deep. Make sure these lines are well spaced out – at least two lines between each. 7. Place another sheet of parchment on top and use your finger to gently smooth the chocolate into a flat layer between the sheets of parchment. 8. Peel the parchment sheets apart and use the pointed side of a skewer to add texture to the edges of the feathers and to trace faint lines on the faces of the feathers. 9. Pipe a line down the feather, just off centre, and allow set in the fridge for 45 minutes until totally crisp. At this point, you can peel your parchment paper off but be gentle – your feathers will be very delicate. 10. Although you don't need to add colour, I dusted my edges with some edible lustre, using a very soft (brand new) eyeshadow blending brush. I love the sparkle myself, but it's your choice whether you dust! 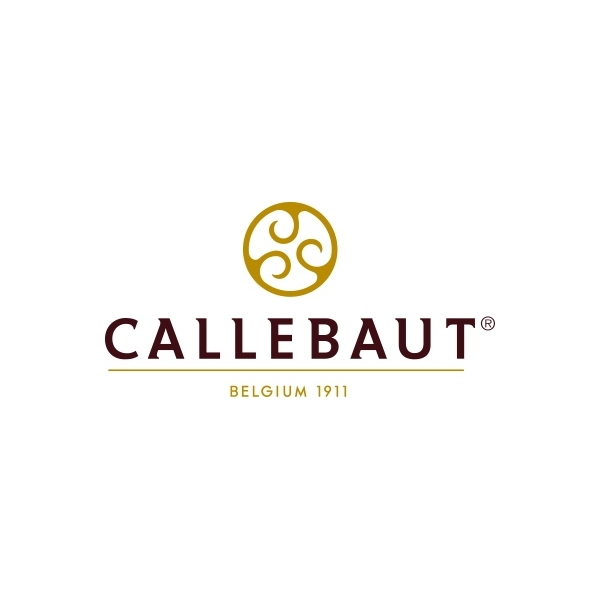 For 100 years, Callebaut have been making chocolate to be proud of in the heart of Belgium. 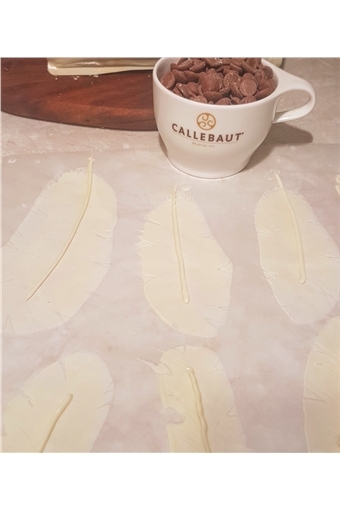 Callebaut is still one of the rare chocolate makers to select, roast and grind cacao beans itself into its own secret and exclusive cocoa mass – the most important ingredient for chocolate couvertures. Only the best, rarest and most exclusive varieties of cocoa bean are selected. They are roasted in their entire shell to protect the most delicate aromas and yield a more intense, more complex and deeper cocoa flavour.